Health and fitness has been a passion of Andy’s from a young age. Encouraged by his Grandfather to be active and take part in sports, Andy excelled at athletics and football in school. This lead to time playing in the youth teams at both Greenock Morton and Queens Park football clubs. Inspired to advance his academic studies, he then went on to obtain a BSc in Physiology and Sports Science at the University of Glasgow. Andy’s passion for fitness is infectious. With a positive outlook on training and a real enthusiasm for educating clients on their health journey, Andy’s training sessions encompass both intensity and efficiency. When training with Andy, you won’t be stuck on a set plan. Training is individual to each person’s goals, helping to maximise results within a fun and challenging format. 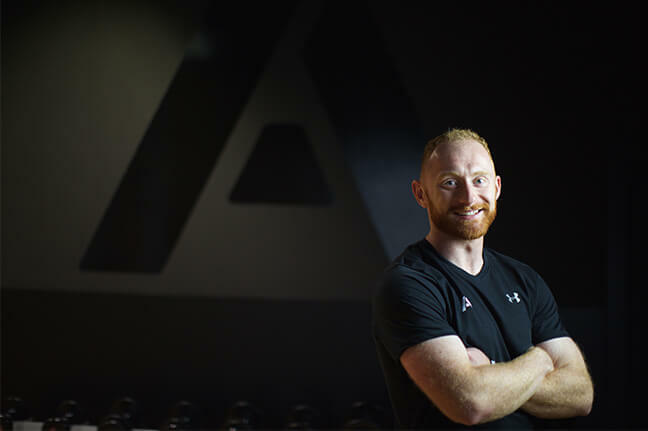 With a strong sense of community, Andy’s ethos is clear: to offer the client an opportunity to challenge their fitness, increase their levels of physical and mental well-being and be supported as part of the Activ family. When training with Andy, you’re guaranteed to leave your sessions with a buzz!